January 22, 2019 - The digital marketer's #1 daily briefing! There’s a lot to talk about today. Google gets hit with a huge fine, and we have another one of their leaked UX Playbooks - this time for Lead Gen. Major DSP, Go2Mobi disappears, Facebook videos don’t make everyone happy... And a call for help from The Crew. Go2Mobi closes shop and tells nobody? And they were good! Why “were”? Because it seems they are done and dusted. Gone. Finito! Someone tipped us they might not be doing so well, to say the least. And yesterday we noticed their website is down, 2 recent bad Google reviews and Facebook page deleted. Just their Twitter account is still live… For now! We’re a bit sad about this… We’ve had some really nice success with Go2Mobi in our early days of affiliate marketing. 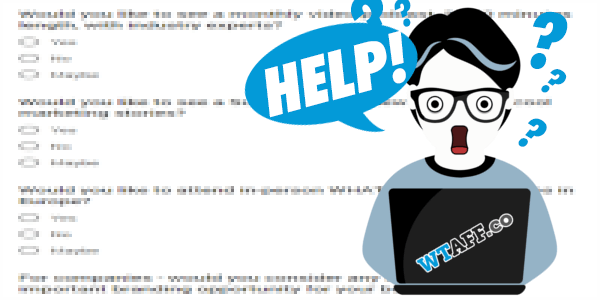 Although we haven’t seen any complaints on popular forums, it’s usually just a matter of time. If you or someone you know has funds on Go2Mobi, you might wanna get in touch with support now! That should increase the chances of getting refunded sooner rather than later (or never). Aside from that, let others know about it. Stop recommending it, because it doesn’t exist. The good thing is, since their website is down, you cannot deposit more funds anyway. We’ll keep you posted if Go2Mobi updates the marketing community on what is going on. In the meantime… Stay away! And hey, if you have more concrete info about what’s going on, hit us up! You can find us at crew@wtaff.co. Another confidential Google Playbook leaked! A couple weeks back, we shared an awesome Retail Playbook released by Google containing the best practices and case studies for e-commerce to improve their store sales and conversions. The playbook was very well received by our readers. It got shared across quite a few FB groups. Thus, we considered that positive feedback from your side. 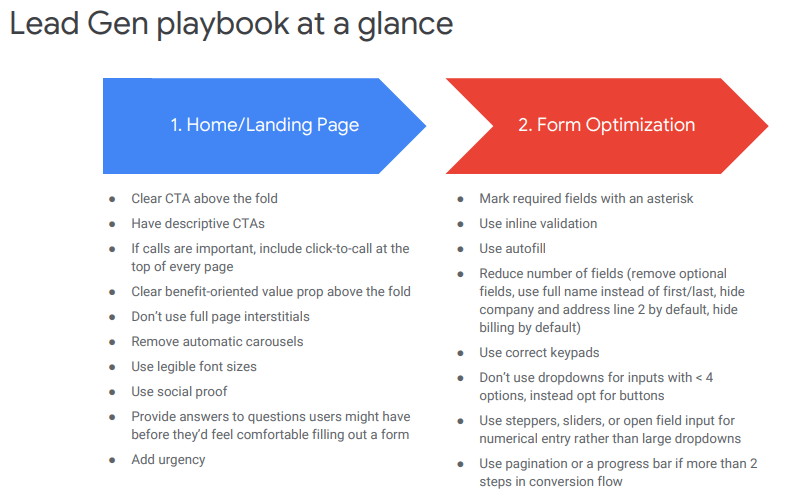 So today, we are bringing you yet another User Experience Playbook from Google. This time focused on lead generation. And what you can do to generate more leads or form submissions on your website. There are some basic principles that are applicable to each and every online business and were already covered in the Retail playbook. Hence, to avoid being repetitive, we won’t discuss them in detail here. Let’s begin summarizing the Lead Gen topic in Google’s own words. This playbook for lead generation suggests some key areas to optimize. Conversion optimization: Create pages that lead users to the action you want them to take. Put CTAs front and centre, make it easy for them to contact you, build trust and create a sense of urgency. Solution messaging: Communicate the value proposition as clearly and as crisply as you can. People don’t like to read a lot. Answer questions you know are important for them. Trust building: Testimonials, trust seals, certificates and awards help to remove anxiety. Usability: Make your site easy to use. Don’t use full page interstitials. Remove automatic carousels. Use legible font sizes. Mark required fields with an asterisk. Use inline validation and autofill. Remove optional fields, use full name instead of first/last, hide company and address line 2 by default, hide billing by default. Don’t use dropdowns for inputs with < 4 options, instead opt for buttons. Use steppers, sliders, or open field input for numerical entry rather than large dropdowns. Use pagination or a progress bar if you have more than 2 steps in conversion flow. Avoid using generic CTAs like “Get Started”, “Learn more”. Instead, use CTAs that communicate the benefit. No, this doesn’t mean generating likes and shares from 3rd world countries. It means trust signals from friends, peers and people we trust. According to a Nielsen report, 70% of consumers trust consumer opinions online. 63% of consumers say they are more likely to buy from a website that displays reviews. Majority of your users use mobile devices to browse. Majority of pages are coded on/for the desktop. You get where this is going, right? Get into the habit of visualizing in mobile. All the high-quality web page examples in the Playbook are demonstrated in the setting of a mobile phone. If this gave you some sort of initial push, the 44-pages long playbook has a lot of citations and links to more research and articles. Giving you the best visual examples from the industry, on each point we discussed above. Go and have a look at the detailed Playbook here. GDPR vs Google: $57M fine. We have another GDPR victim. This time it’s Google. Slapped with a fine of $57M for failing to comply with GDPR. Not for the usual GDPR cookie consent but for Android’s onboarding process when users set up a new Android phone. French privacy watchdog CNIL concluded that Google fails to comply with the GDPR when it comes to transparency and user consent. Transparency because if a user wants to know how their data is processed to personalize ads, it takes 5 or 6 taps. Also, the wording used by Google looks broad and obscure on purpose. Google should separate the action of creating an account from the action of setting up a device. When signing up for a new account, Google asks you to tick or untick some settings but doesn’t explain what it means. Specific and unambiguous consent is not sought while creating a new account — the option to opt out of personalized ads is hidden behind a “More options” link. That option is pre-ticked by default (it shouldn’t be). Well, these complaints were originally filed by two nonprofit organizations called ‘None Of Your Business’ (noyb) and La Quadrature du Net. Against Google and Facebook, so let’s see what happens to Facebook next. Quick tips to increase AOV and CVR. Bo van Wijngaarden has a few simple and quick tips for anyone doing e-commerce. He shared them in the Purple Knowledge Lab group and we thought they are certainly worth bringing up here too! Add a phone number near the place where people select the quantity and on the checkout page. Be original to add scarcity. Countdown timers don’t work. For example, implying the product is nearly sold out and by hitting the checkout button will secure your order, works better from his tests. Use Google Optimize, it’s free. Don’t bother with expensive alternatives. Try to look like a real brand, not some cheap amateur store. Present your bundled products as a package deal instead of a dropdown on your page. Just like SaaS companies do! Add shipping cost on one piece but have free shipping on 2+1. Always do presell pages. Mention the upsell in the story on the pre-sell page. For example, if it’s a presell for a drone, mention how you’ve used certain accessories, like an extra battery pack and how useful they were. Those are short and to the point. We’re sure you have already applied some of these but we also hope it gives you some extra stuff to test out! Facebook worried about brand-security. How many ad accounts should you use? What’s in the pot today? Facebook is developing a safety tool to help you place your Video Ads in the right placements. And Depesh Mandalia responds to the question of how many ad accounts should you use when running campaigns for multi-category stores. Let’s start with the updates from Menlo Park. Facebook is developing a brand-safety tool for advertisers. The tool allows advertisers to block publishers and video creators that don’t align with their brand guidelines, from their ad campaigns. Facebook has given advertisers some controls to limit which publishers’ and creators’ videos their ads can appear against. Advertisers can block three categories of content — “debatable social issues,” “mature” and “tragedy and conflict”. So, if you were worried about where your ads were shown, this is good news! However, multiple agency execs interviewed by Digiday, said that the controls are insufficient. Advertisers can only block “a little over 1,000” Facebook Pages for an in-stream video campaign, according to the unnamed agency exec. Considering that there are more than 38,000 Facebook Pages whose videos are eligible to carry an in-stream video ad, that limit is too low. Moreover, Facebook is adding publishers and creators to its video monetization program at a rapid clip. This increases advertisers’ concerns about brand-safety. According to Digiday, despite the dissatisfaction with Facebook’s current brand safety controls, ad buyers are optimistic that Facebook will continue to provide them with more controls. Why do they have this feeling? Only because it’s in Facebook’s business interest to do so. Well, then we have the same feeling too… Facebook will do it! It seems that Facebook’s mission, rather than having quality content is about monetizing as many ad spaces as possible. In fact, an anonymous interview of a Facebook exec proves this. And it shows how hard their relationship has been with video content publishers. The exec says that FB never gave publishers their due. Always treated them as a second priority. There are teams that go out and get content for the platform, whether it’s from Vice or NowThis or an influencer. These teams are convincing folks to put content on the platform and try these monetization models. However, someone else in the org makes decisions based on meaningful social interactions. And its all based on the six-months-stats culture that dominates in the company. This led to entire businesses suddenly getting killed. Now let’s head towards more practical things. Should you even use more than one ad account? Depesh says he likes simplicity. Therefore he’s about using one ad-account and one pixel. However, the important thing is what happens on an ad-set level. Objective, targeting, optimized pixel, bidding optimization. This steers the ads to where you want them to go. Moving on, Depesh also suggests creating a custom conversion event, rather than splitting accounts. This helps you to see the splits of categories, upsells etc. It looks that using one ad account is the answer. But we know that your main concern is: what if my ad account gets banned? Well, maybe this doubt will stay foreva! The Dating King arrives at Wewe Media! Likes: Playing with his facial hair, long-term stable relationships with Top Advertisers, walks on the beach, yoga on weekends, bubble tea in the morning, aggressive landing pages, Brazilian women, Big Monthly Budgets on Private offers, and of all positions he prefers HOVERING BUTTERFLY. Dislikes: Women who want to eat off his plate, terrible traffic quality, low payouts, non-alcoholic beverage, slow payment terms. Mister E’s Story: The King pictured above has seen it all when it comes to the dating vertical, he’s been to all the shows, has done business with all the big boys, and easily manages millions of dollars in revenue on a monthly basis. 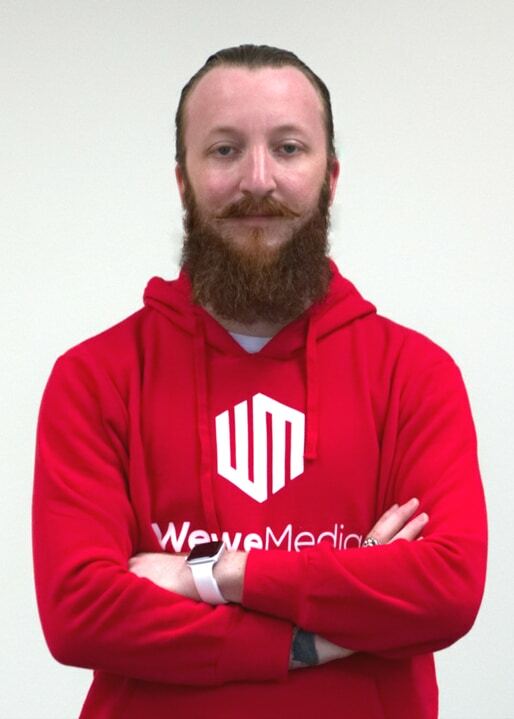 He used to reside in Amsterdam but tired of the cold, rain and snow, he packed his bags, his facial grooming kit, and moved his talents to Singapore to head the Dating Vertical at Wewe Media. Mister E is the cream of the crop Business Development manager and has access to quite a few big budgets, private offers across Tier 1 and European geos in Casual and Adult Dating. Wewe Media is on the rise and has been making some powerful moves when it comes to Dating and Nutra in 2019. If you want access to the industry’s top Dating and Nutra offers, then your best “match” is Wewe Media. We (still) need 45 seconds of your time, please! We’re asking our readers a few questions to get a better idea of what you’d like to see in the next few months from us, aside from this lovely Monday to Friday briefing. It’s all anonymous unless you want to leave your email details in the form too. So, if you haven’t done so already, can you answer this 5 question survey?